This is my first foray into the world of collaboration. 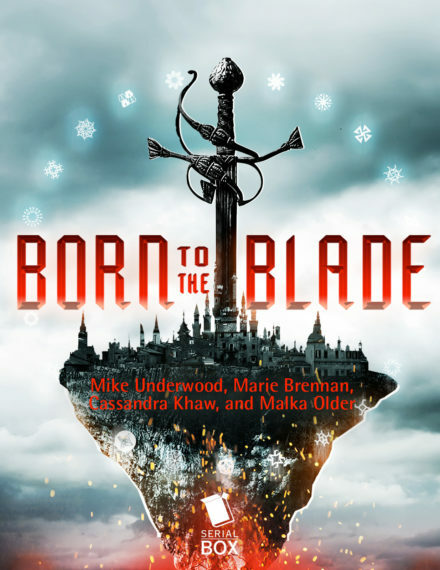 Born to the Blade is an epic fantasy novel co-written with Michael R. Underwood, Malka Older, and Cassandra Khaw, published by Serial Box, a company specializing in serialized fiction. Subscribe to season one of Born to the Blade and you’ll get weekly installments in both ebook and audio form — or wait until the season is finished and pick up the whole thing in a print omnibus. It’s “airing” now, and will finish by the end of June!